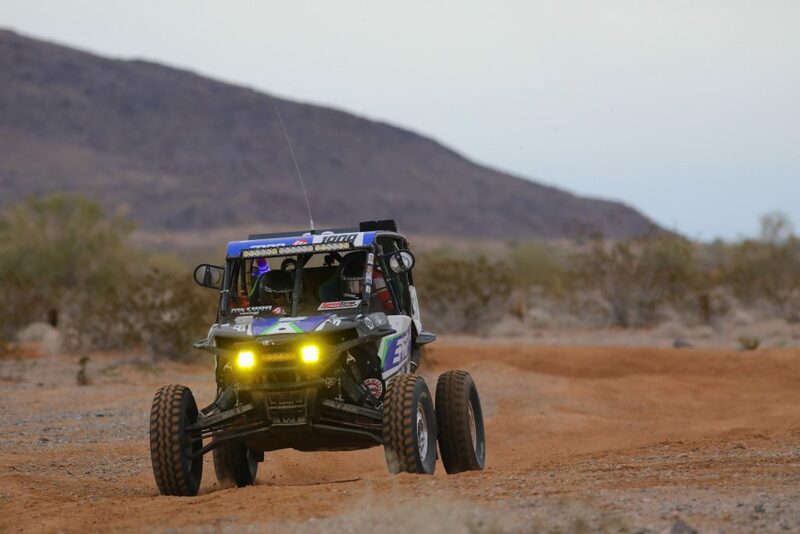 My nerves were running high as we came into the first race of the 2019 Best in The Desert season. After finishing 4th overall in points last year, I had big shoes to fill… and this year my main goal is to get to the top of the box. So the pressure was on to start the season with a good finish. Back in December, I put a hole through the motor at the Pahrump Nugget 250. So between Christmas and New Years we installed a brand new motor from Polaris, along with a fresh set of Method wheels and Tensor tires to start off the season. Race weekend started off on Thursday. Matt and I loaded up the chase trucks and race trailer with anything that we could possibly think of that we might need. After my Dad finished up work we were all Parker bound! We arrived at main pit around midnight on Thursday night, and immediately crashed. Then on Friday we got up in time to watch the Short Course Race. We sat on top of the trailer and cheered on my fellow RZR teammates! After the race, it was time to head to Tech and Contingency. Got the car inspected, got us registered, and went through the drivers meeting. Now it was race time! Since this race featured a main and alternate pit, we decided to team up with a good friend of ours, Jesse Gage. Working with Jesse and his team gave us both extra manpower, and meant we had extra eyes on each car as it came through. The motorcycles started around 6am. Since staging for UTV’s was not until 12:15, we had plenty of time to give the car one last look over. My Dad noticed brake fluid under the left rear tire, so he and KC ran down to Parker Auto, grabbed some banjo washers, and fixed the leak. After all of that last-minute madness, we were race ready. 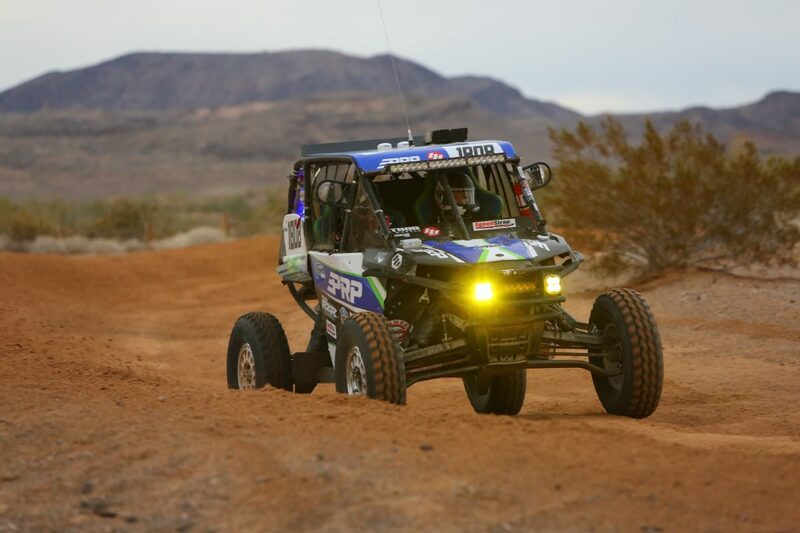 I was slated to start 26th in the UTV Pro Class, lined up against Rookie Racing. My nerves are always high while sitting in the starting line, but when that green flag drops, all the nerves go away…it’s game time. 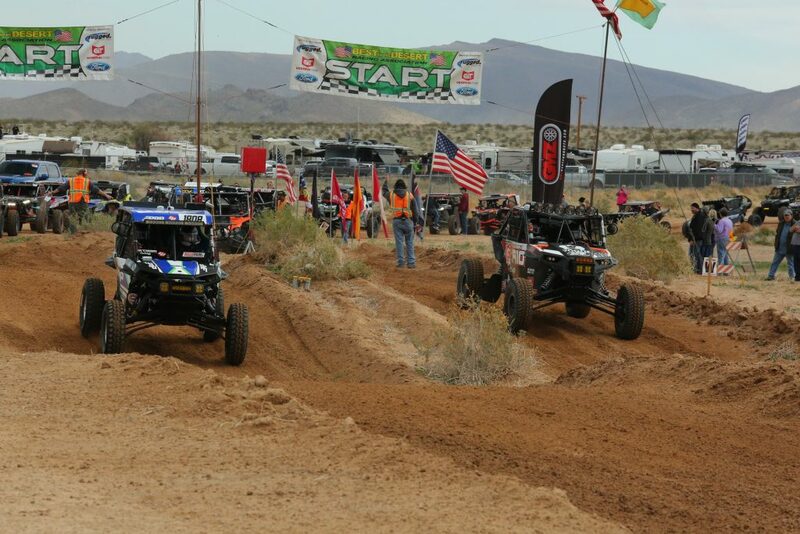 After a good battle with Rookie Racing off the line, we took the holeshot going into the desert. Within the first 3 miles, on a straight away full of rollers, we got in a perfect rhythm and immediately started catching up to the line of cars that started in front of us. My plan for the first lap was to take it easy, then second and third lap push the car to its limits. After starting 26th, we finished our first lap in 10th place physically. 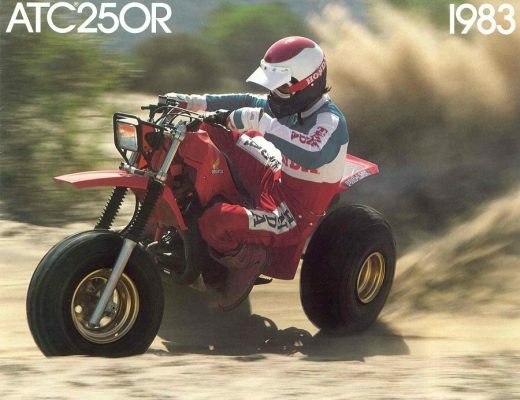 Because… you know… this is desert racing. You could be having a perfect day, be out front leading the pack the entire race… then 10 miles from the finish have mechanical issues and DNF. Anything can happen. Nothing is predictable out in the desert. So we kept our heads down and were determined as ever to keep the car together, and get it to the finish line. We came into main pit after finishing our 2nd lap, the team fueled the car, Matt and I fueled ourselves (Uncrustables are amazing), and we were gone within 16 seconds. As we started the last lap, we started to feel the car pull to the right whenever I got on the gas or the brakes. I struggled to keep the car straight for the next 28 miles, as we pulled into the remote pit to have them see what the issue was. However main pit radioed that tracking on Racing Trax currently had us at a 2 minute lead on 4th, and 2 minutes behind 2nd. So we decided to keep the pit stop as short as possible. After a minute in the pit they could not find out what was wrong, so we took off, and instantly felt the car wander and pull to the right again. Matt and I both agreed that we think this is something more serious than an axle or radius rod. We figured it must be the transmission, so after pushing the car to its limits we decided to back off and only give it 40% throttle. The last thing we wanted was to DNF because we pushed the car too hard when we knew something was wrong. So after limping it to the finish for 50 miles, we managed to salvage a 5th place. Although it was not the finish I would have liked, it’s much better than a DNF. And I am very happy with a top 5 finish to start off the season! My pit crew was amazing, and those extremely fast pits are the reason we placed where we did this race. My navigator helped me push the car to its limits, and helped me get faster every lap. 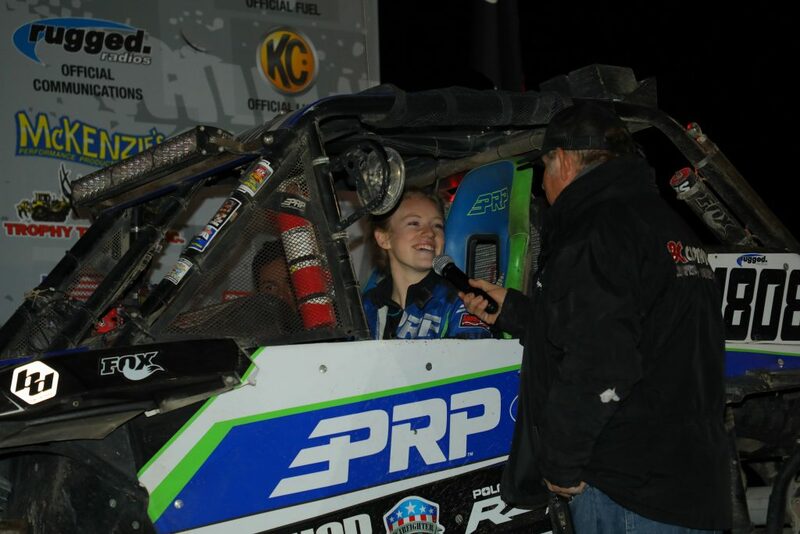 I’d also like to thank my sponsors and everyone who made this race possible: PRP seats, Polaris RZR, Rugged Radios, Method Race Wheels, Tensor Tires, SpeedStrap, Baja Designs, Factory UTV, Warfighter Made, Trinity Exhaust, Suspension Direct Inc, and Summer Brothers Racing. These awesome products help me compete, and get me to the finish line!